Situated in the lower northern region of present-day Thailand, the Historic Town of Sukhothai and Associated Historic Towns is a serial property consisting of three physically closely related ancient towns. The total property area is 11,852 ha., comprising Sukhothai 7,000 ha., Si Satchanalai 4,514 ha., and Kamphaeng Phet 338 ha. Sukhothai was the political and administrative capital of the first Kingdom of Siam in the 13th and 15th centuries. Si Satchanalai was the spiritual center of the kingdom and the site of numerous temples and Buddhist monasteries. Si Satchanalai was also the center of the all-important ceramic export industry. The third town, Kamphaeng Phet, was located at the kingdom’s southern frontier and had important military functions in protecting the kingdom from foreign intruders as well as providing security for the kingdom’s extensive trading network. All three towns shared a common infrastructure to control water resources and were linked by a major highway known as the Thanon Phra Ruang after the king who constructed it. Under royal patronage, Buddhism flourished and many impressive monasteries were constructed of brick covered with carved stucco, illustrating the idealized beauty and the superhuman characteristics (mahapurisalakkhana) of the Lord Buddha and His Teachings. 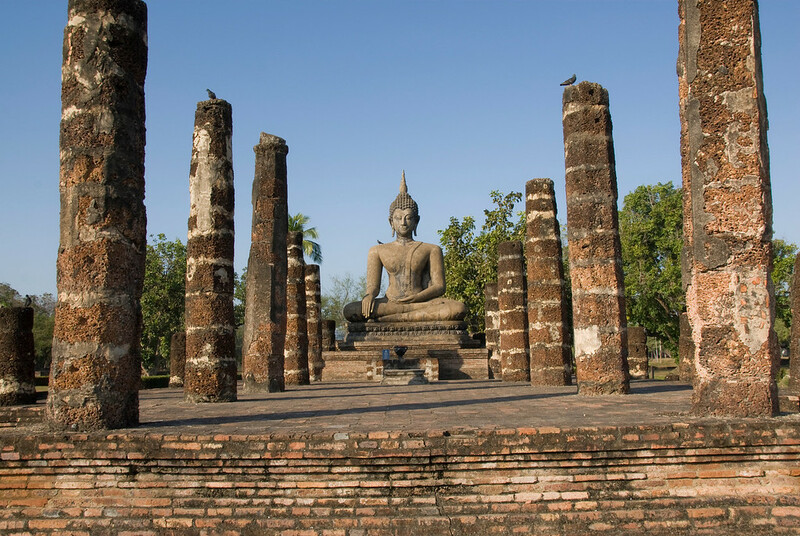 It is from the remains of these religious monuments that today we best know and appreciate the achievements of the people of the Historic Town of Sukhothai and Associated Historic Towns. Sukhothai is what I wish Angkor would become. While not nearly as large as Angkor, the grounds of Sukhothai is still very large, I’d estimate about the size of Central Park in New York. It is also cared for like a park. The grass is trimmed, the roads are in good shape, there are paved walking paths, and everyone just looks nice. They also offer bikes for going to various temples, which is a very popular option. It is one of the least visited tourist attractions I’ve been to in Thailand. It is about midway between Chaing Mai and Bangkok. I’d highly recommend it as a stop if you are going from Bangkok to the north. The Historic Town of Sukhothai and Associated Historic Towns is one of the UNESCO World Heritage Sites in Thailand. It was inscribed into the list in 1991 citing its cultural value. The site comprises several properties including the Sukhothai Historical Park (which is the main property included in this heritage site listing), the St. Satchanalai historical park and the Kamphaeng Phet historical park. All of these historical parks are considered of cultural importance since they make up what remains of the three main cities of the Sukhothai Kingdom that was at its peak during the 13th and 14th century CE. The Sukhothai kingdom was not just one of the biggest in the Thailand, but also among the first kingdoms to be established in the country’s prehistoric times. To get to Sukhothai, you must travel to Bangkok and from Bangkok, you can take another flight to Sukhothai Airport. There are two flights daily from Bangkok to Sukhothai. From the airport, you can take a shuttle to your booked accommodation. Another transportation option from Bangkok is via train. The travel time from Bangkok or Chiang Mai to Sukhothai is 7 hours. You will be dropped off in Phitsanulok where you must take another bus for 1 hour to Sukhothai. 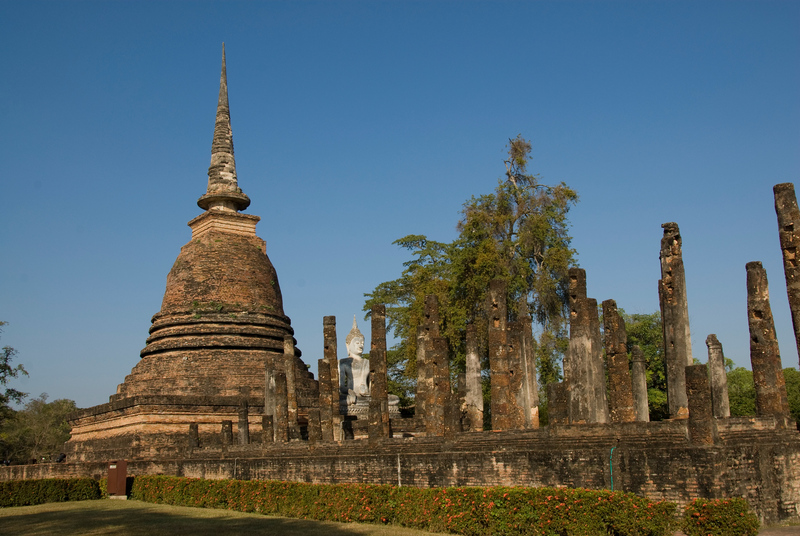 About 800 years ago, Sukhothai was the capital of the first Kingdom of Siam (former name of Thailand). The exact year of its establishment remains undetermined although researchers point out sometime between 1238 and 1257. The name Sukhothai literally translates to “Dawn of Happiness”. Once the capital was established, it was only a matter of time until the first dynasty in Sukhothai was established as well: Phra Ruang Dynasty. 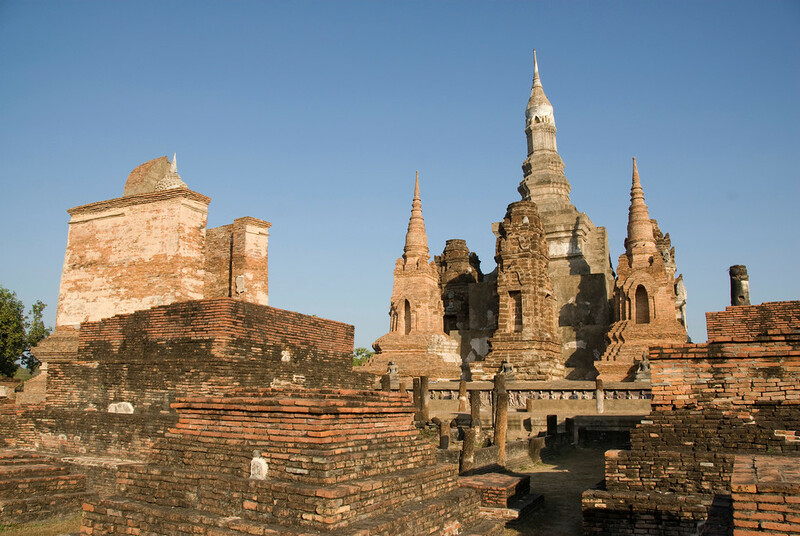 Sukhothai served as the capital for the next 120 years wherein it was under the rule of several kings. The kingdoms of Sukhothai existed until the late 15th century. Sukhothai Historical Park: This historical park is the main component of the historic town of Sukhothai and associated historic towns listed by UNESCO. 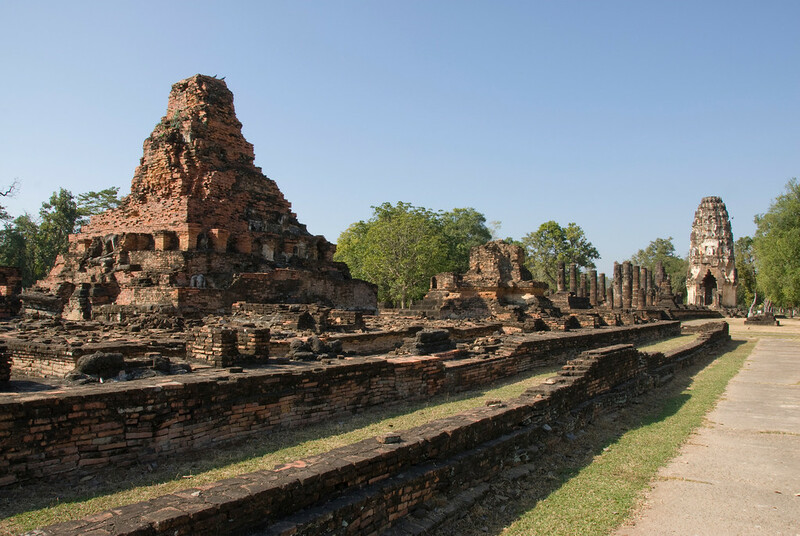 It consists of ruins from the 13th and 14th-century Sukhothai kingdom. There are a total of 193 ruins within 70 square kilometers of land, which includes 26 temples and royal palace remains. The largest of the temple inside this park is Wat Mahathat. Si Satchanalai Historical Park: This park is where you will find the ruins of Si Satchanalai. This is the second most important town during the reign of the Sukhothai Kingdom. Within this historical park, there are 215 ruins in total. Kamphaeng Phet Historical Park: This is an archaeological site that is included within the historic site of Sukhothai in Thailand. In this park, you will find the archaeological remains of an ancient site. You will also see the preserved town planning concept of old Sukhothai and large structures made out of laterite. I just returned from Thailand. Both Sukhothai and Ayutthaya were among the sites we explored. I’m grateful to have visited these important sites. The architecture is unbelievable. It looks like a great area to tour. I've always loved the culture and older Siam architecture. I am hoping to make a trip there in the near future. That looks like a very beautiful place to visit.